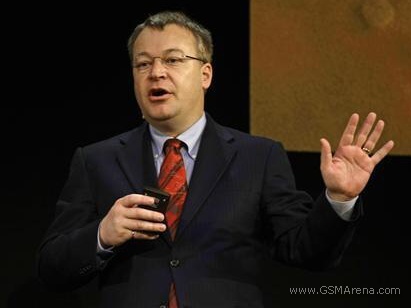 Nokia's CEO Stephen Elop is all over the headlines these couple of weeks. First announcing the alliance with Microsoft and Windows Phone 7, now saying that WP7 phones are getting a price slash big time. Windows Phone 7 smartphones are certainly not the cheapest ones around. Microsoft's strict hardware requirements don't allow room for cheaper phones. In a recent speech Elop pointed out that one of the main topics of the arrangement between Nokia and Microsoft was allowing for lower priced smartphones, which will ease the jump for the current users of the more affordable Symbian smartphones. It's important for Nokia to ensure that its Symbian users aren't left in a disadvantageous position by the shift in software. Nokia's primary goal is to convert them to the new smartphone platform rather than send them out in Droid land. Elop also said that the deal with Microsoft and Nokia will be finalized in the course of the next couple of months so we'll probably hear even more juicy details about the future devices to come out of this partnership. Why do they think they can just "convert" Symbian users to WP7? Just like that? I already purchased Android devices for my family members because of this WP7-crap. I recommend everybody to do the same! Let's kill WP7 together! This is stupid, because everybody hates Microsoft.